Dunvegan is on the north coast of the Isle of Skye. For most people, Dunvegan tends to mean Dunvegan Castle, which can be found a mile or so north of the village. Dunvegan Castle is the ancestral home of the chieftans of the Clan MacLeod. The castle dates back to about 1200, and is said to be the oldest residence in the UK continuously occupied by the same family. In the 1890s Dunvegan was a stopping off point for many of the steamers to the Western Isles, and it also had a daily service to Oban. The last steamers departed in the 1950s, leaving a sheltered anchorage frequented by yachtsmen. 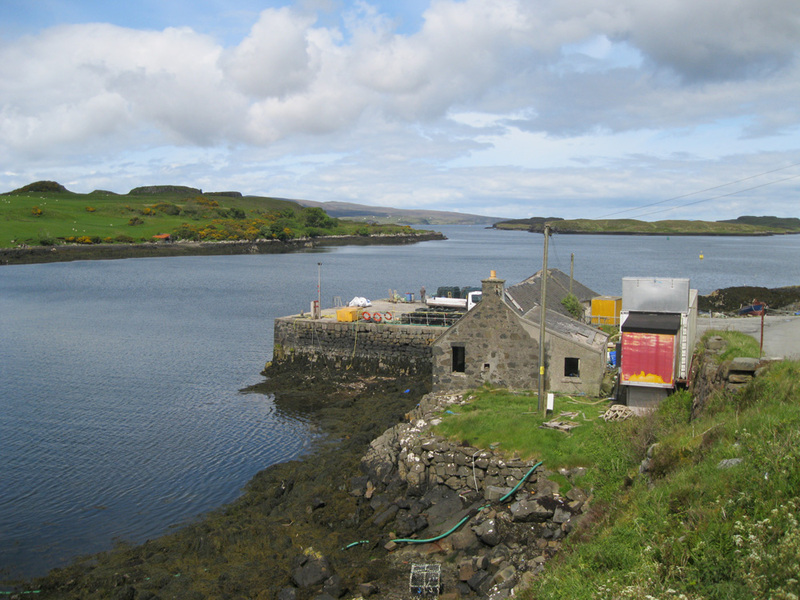 Dunvegan Pier projects into Loch Dunvegan about half a mile north of the village and remains the base of a few fishing vessels. Just south of the quay is an older jetty which is in a poor condition and no longer used (see final image under 'More Photos').